Our philosophy revolves around three points: loyalty, efficiency, and professionalism. Outside of our general practice, each of our attorneys also develops skills in one or more areas of the law. All of our attorneys are first and foremost general practitioners, meaning we are prepared to advise and affordably represent individuals, businesses, and government agencies in most legal problems. Please do not hesitate to contact us by phone or by using our website email form with any questions you may have or to find out more about the services we provide. 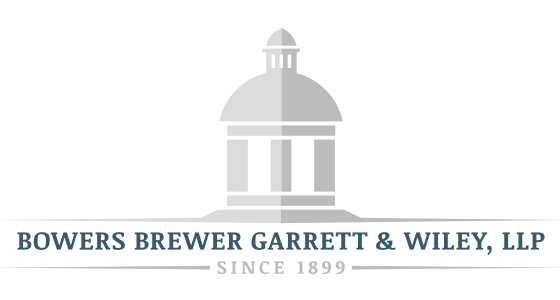 Welcome to the website of Bowers, Brewer, Garrett, & Wiley, LLP. Since 1899, we have served the residents of Huntington County and all of northeast Indiana. Our practice philosophy revolves around three points: loyalty, efficiency, and professionalism. We are loyal in that we strive to be practical problem solvers and reliable advice givers to our clients based on their particular needs. We are honored that many of our clients and their families return to us several times. We are efficient in that our approach to practice is to identify all options for our clients but to propose the most affordable solution that accomplishes our clients’ goals. While we put our clients’ needs first, we are “professional” because we try to do things the “right way”, following the Golden Rule in all matters of our professional and personal lives. All of our attorneys are first and foremost general practitioners, meaning we are prepared to advise and affordably represent individuals, businesses, and government agencies in most legal problems. We take this approach so that our clients can have their legal needs met at one place by someone who understands the “big picture”. Outside of our general practice, each of our attorneys also develops skills in one or more areas of the law. 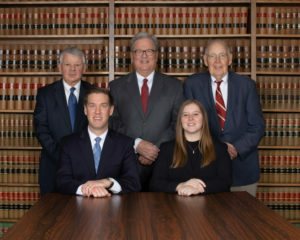 Some of our specific practice areas are estate administration, estate planning (such as wills, trusts, powers of attorney, health care representative), family law (such as adoption, guardianship, custody, divorce, child support), personal injury, civil litigation and criminal defense, and appeals.